…the vertical playground for anyone aged 4 years or over. Clip ‘n Climb is a place where you can gain memorable experiences with a wide range of indoor climbing challenges, which is healthy and challenging fun for everybody. 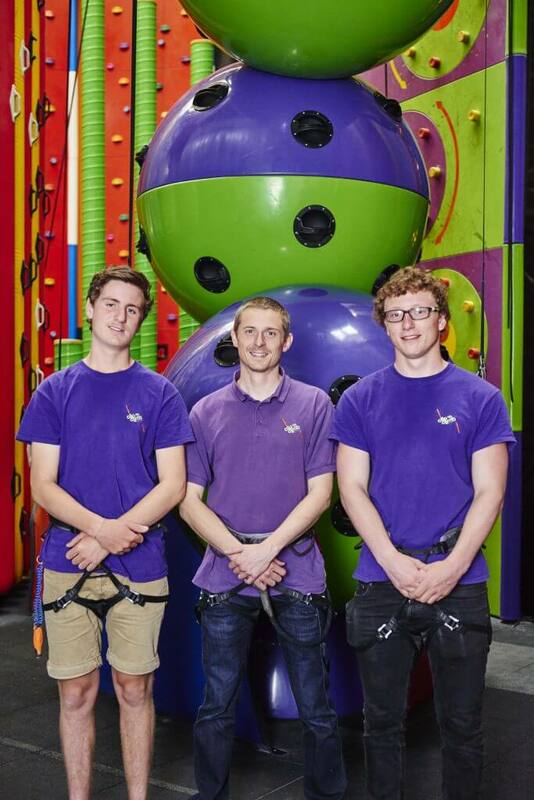 With 25 climbing walls to try, there are exciting challenges available for all abilities. Why not test your resolve and determination on the Detonator, reach dizzying heights on SkyScraper, balance your way up the Crag, or reach for the stars on Cloud 9? Or for the truly brave – dare you take on the Leap of Faith or scale the Vertical Drop Slide? Besides the health benefits of Clip ‘n Climb’s indoor climbing facility, the activities promote self-confidence, balance, problem-solving skills, and perseverance. This makes Clip ‘n Climb Newcastle perfect for family outings, schools, and corporate teambuilding. You can book your session today, or give us a call on 0191 91 70 360. We apologise in advance if it is difficult to reach us by telephone during weekends and school holidays. Availability for all sessions is publically available via our online booking system, simply click ‘Book Online Now’ and follow the simple steps to book your session.